Obesity is a common risk factor for pregnancy complications including preeclampsia. Maternal obesity elevates the chances of hypertensive disorder which often causes maternal and fetal morbidity and mortality. Unhealthy diet, lack of exercise, stress, etc leads to obesity and causes preeclampsia. 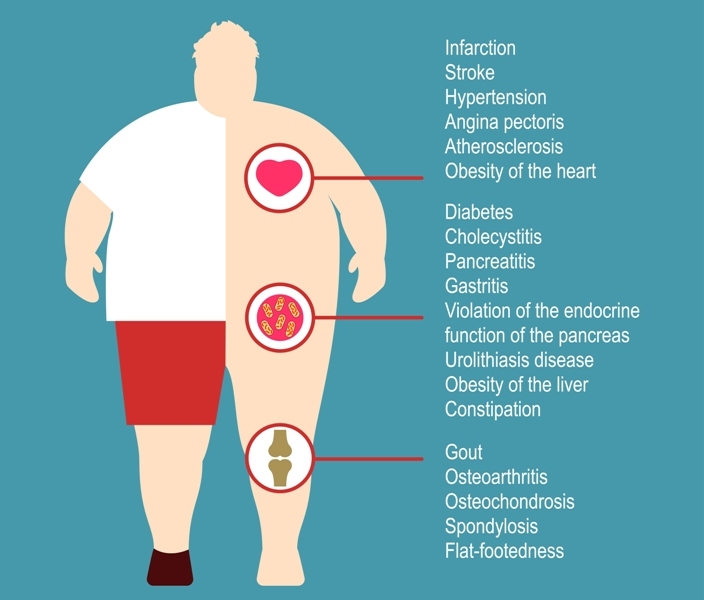 Obesity can cause several cardiovascular problems which increases the risk of preeclampsia. Obesity is accompanied by oxidative stress which enhances the production of free fatty acids and inflammation and leads to preeclampsia. Hypertension is the key warning sign of preeclampsia in pregnancy. In some cases, hypertension is present before pregnancy while in other cases it develops during the pregnancy itself. During preeclampsia, early stage hypertension can be treated with a number of drugs such as thiazide diuretics, ACE inhibitors, angiotensin receptor blockers, beta blockers, calcium channel blockers, etc to reduce the risk of heart disease and pregnancy complications. 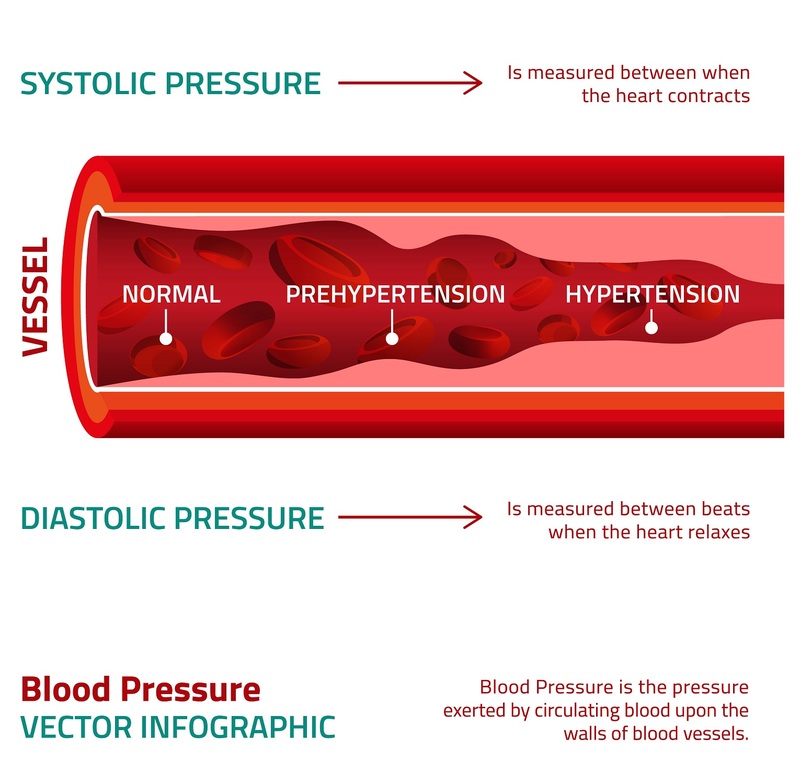 In severe stage of hypertension, combination drugs are used to lower down the blood pressure (in case of preeclampsia). Preeclampsia during pregnancy can often develop without any symptoms. In some cases, high blood pressure may develop slowly with swelling in hands, feet and face. 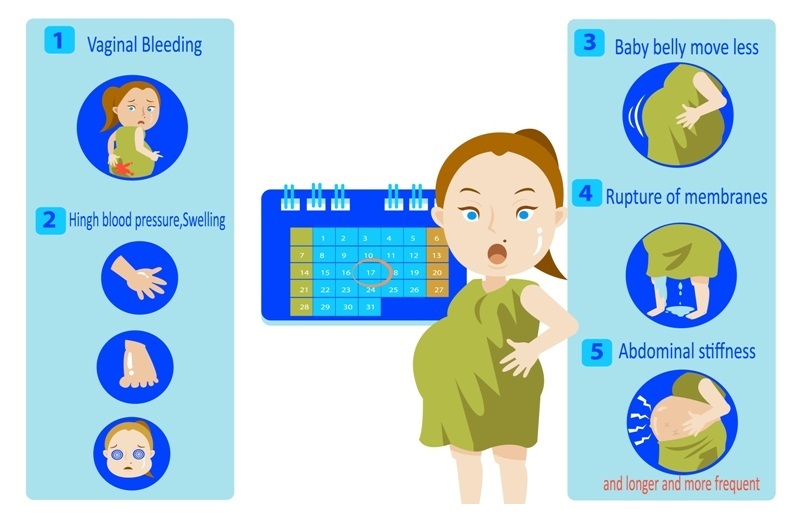 Some common signs and symptoms associated with preeclampsia are excess protein in urine (proteinuria) or additional signs of kidney problems, sudden weight gain, severe headaches, changes in vision, including temporary loss of vision, blurred vision or light sensitivity, abdominal pain, nausea or vomiting, impaired liver function, shortness of breath caused by fluid in your lungs, etc. Swelling, in medical terms, is known as Edema. Swelling can be due to any injury or some inflammatory infection. 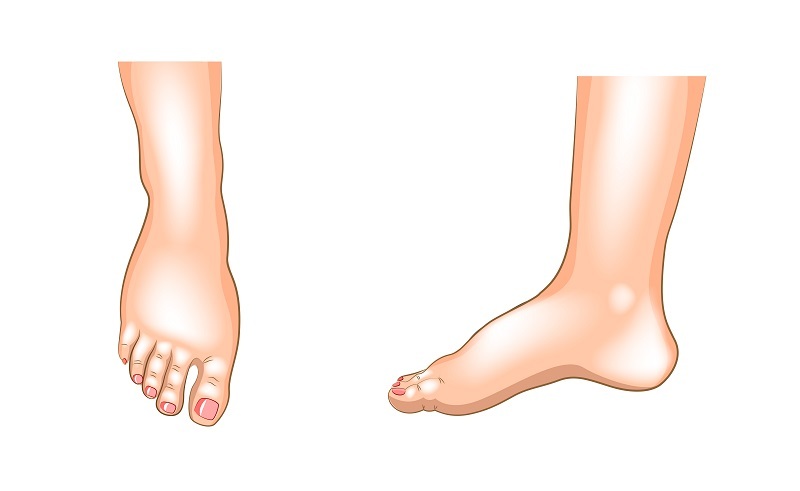 Common causes of edema are pregnancy, injury or infections, certain medications, etc. In pregnant women, edema is supposed to be a warning sign for preeclampsia. High level of protein in urine causes swelling in the feet, ankles, legs, hands and even on face which is a sign of preeclampsia in pregnant women. If the swelling does not reduce during pregnancy, the woman should visit the doctor without any delay to avoid further complications. Preeclampsia is a complication that mostly occurs during the last trimester of pregnancy. The main signs of preeclampsia are high blood pressure and presence of protein in the urine. Diabetes, obesity, preexisting blood pressure issue, etc are some common causes of preeclampsia, though the exact cause is not known. Preeclampsia can cause problems with the growth of the baby as the placenta cannot get enough blood in this condition. Due to this, the baby does not get oxygen and food which can lead to low birth weight. In many cases, due to such complications, premature delivery is expected. Sometimes, it results in still birth. How should a pregnant woman behave to avoid pregnancy complications? There are a number of precautions a woman should take care during pregnancy. Eating healthy, proper exercise, maintaining hygiene to avoid infections, regular checkups, etc are some common measures to be considered during pregnancy to avoid complications. One common complication of pregnancy is preeclampsia. During pregnancy, abnormal development of the placenta, high blood pressure (hypertension) and high levels of protein in the urine (proteinuria) around the last trimester leads to preeclampsia. Preeclampsia can be fatal in some cases and shouldn’t be avoided. Preeclampsia can be avoided with proper diet, keeping calm, proper rest and exercise. Obesity should be treated to avoid preeclampsia. In addition to swelling, protein in the urine, and high blood pressure, preeclampsia symptoms can also include rapid weight gain due to a significant increase in bodily fluid, abdominal pain, headaches, and change in reflexes. In general, preeclampsia occurs after 20 to 24 weeks of pregnancy or usually towards the end of pregnancy. It is observed that preeclampsia affects about 8% of all pregnancies.